Jedi was born on a puppy farm up in Kern County; he was then surrendered to a rescue from which he was adopted at 8 weeks old in Simi Valley, CA. 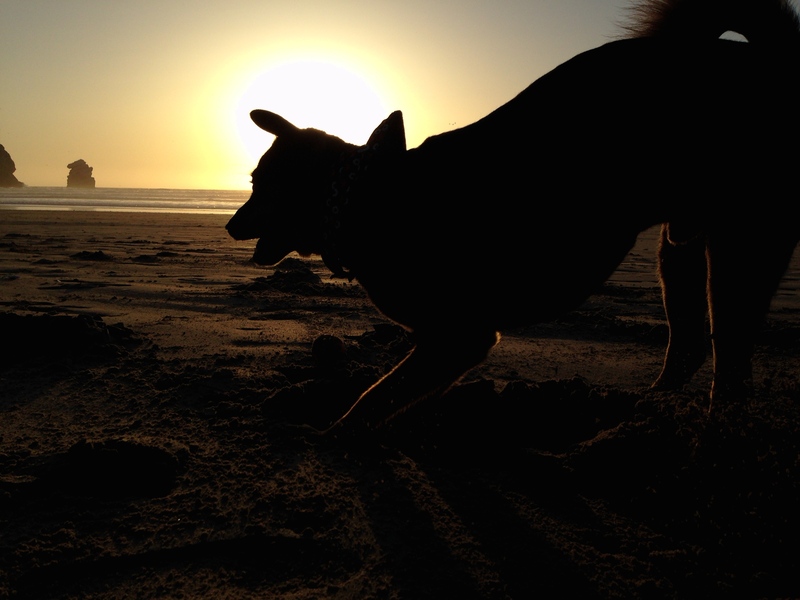 The rest is history…When Jedi was about 9 months old, he went to his first surf contest in Del Mar, CA. He fell in love with the waves, sand and ocean vibes. He loves the water and everything about it, except for a bath as any normal dog would. He got his first surfboard at 9 months old and we took him to the beach everyday and that was the start of his career in dog surfing. He picked it up in a matter of seconds, as if he was made to surf. Everyone is so amazed with what he does. You can tell he knows how to grip it and shreds like a human surfer would. You just see it in his eyes and body language on how much fun he is having and the confidence just shines out! Jedi has also made his mark as an entertainer. He appeared in “Who Let The Dogs Out” in 2012, “ 50 Por 1” starting Álvaro Garnero showcasing the most amazing things all over the world. He has also appeared in print, in newspapers and on websites all over the world. He frequently receives invitations to appear at grand openings such as the famous Pooch Hotel in Hollywood, CA where he walked the red carpet with the hottest celebs. He loves to meet new people and makes friends wherever he goes. Jedi is an advocate for animals, working with different charities, and animal related groups. He has raised funds for these groups by participating in a kissing booth as well as auctions held on his Facebook page. Jedi just held an auction for underprivileged kids in El Salvador and will be doing more charity work in the years to come. Since his surf career started in 2011, Jedi has placed in the top in all competitions held in Southern California. In the Purina Pro Plan Incredible Dog Challenge in 2012, he took home 1st place in the small division. 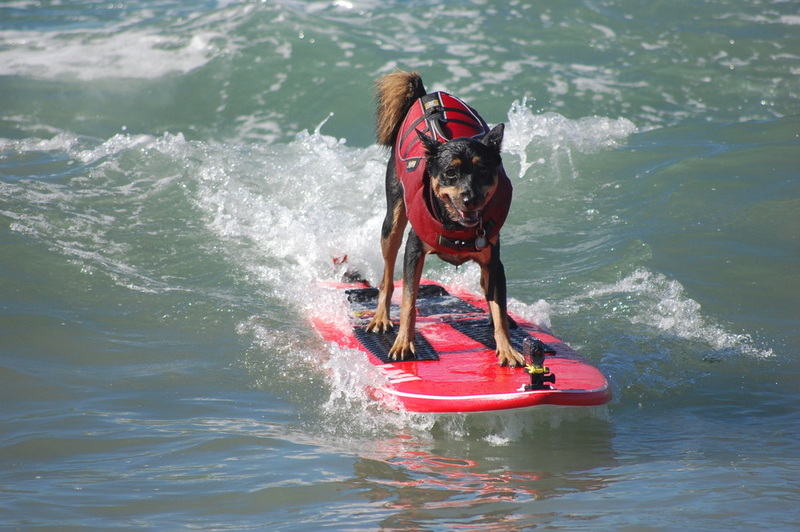 He is one of few who are considered a national surf dog competitor, winning in a surf dog competition held in Cocoa Beach, FL in 2013. Next he will be conquering international waters. Jedi can’t wait to strut his stuff, surf the waves and put lots of smiles on people’s faces! Contact Kanulocks at 714-740-5625. We would love to sponsor Jedi!